Can you cut an album in one day? 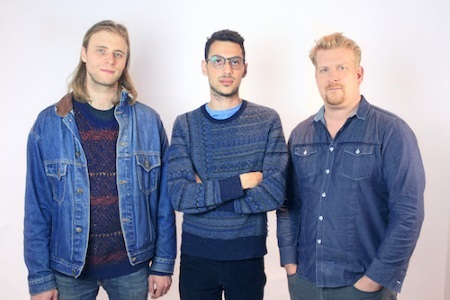 Chicago based progressive improv jazz trio Greg Uhlmann's Typical Sisters pulled it off, setting up shop in a basement studio, armed with a few more or less finished compositions and chord progressions to work with. In order for such a scheme to work, all those involved must have an instant rapport and logged countless hours of performing together. Typical Sisters has shards of progressive rock (After Thought is the prime example), straight up jazz and freak-out avant-garde. The abstract, adventurous textural explorations will be appreciated by jazz buffs, while their tidbits of more accessible noodlings might seduce less advanced listeners to step into their sonic maze. Uhlmann's muso-friendly glorious guitar tone gets properly challenged by Sommer's and Carroll's flawless command of shifting time signatures. Typical Sisters is released thru ears&eyes Records (digital, CD).